Ellie McDaid completed in 2:22:07 and Ella Allpass in 2:49:00. Congratulations both! 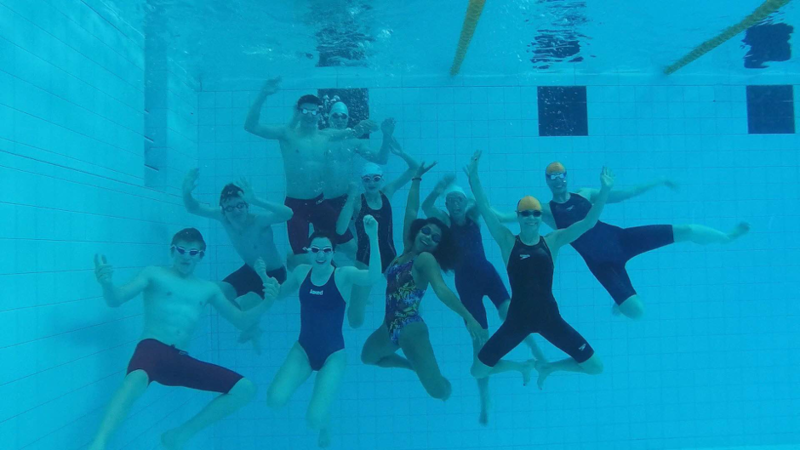 Rushmoor Royals Long Course Open Meet at Aldershot last Saturday. (Left to right) Ben Bradley (35-39 years), Suzanne Maidment (50-54 years), Tania Gordon (35-39 years) and Malcolm Munro (65-69 years). Rushmoor Royals Open Meets/MASTERS SECTION/Competition Results. JLL Property Swim. Seb and George hit the Big Time. Seb Young took the title for the second year in a row with George Hall coming in 15th. A formidable effort given that over 200 swimmers entered. ​Born in Indonesia, I moved to London 20 years ago to complete my education and ended up staying on for work. I discovered Masters swimming when my daughter joined Barnes Swimming Club Development Squad three years ago. I thought learning how to swim was a good way for a middle-aged man to stay fit. In 2014 I joined the Pre-Masters squad where I thoroughly enjoyed my weekly training sessions. Life doesn’t always go to plan and, unfortunately, I suffered a horrific break to my left arm at the end of that year. I returned to the pool in the summer of 2015 with the Masters squad as part of my rehabilitation regime. 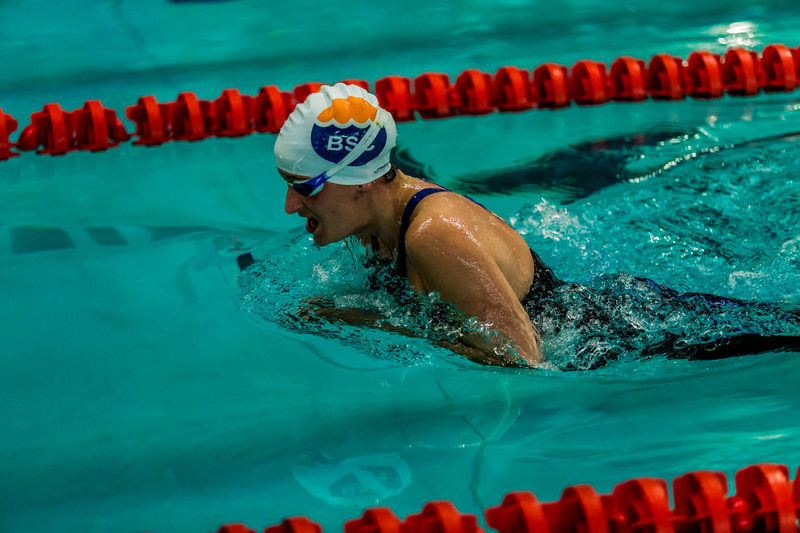 I was inspired to re-start my swim training in September last year as I had so enjoyed the experience before my accident. 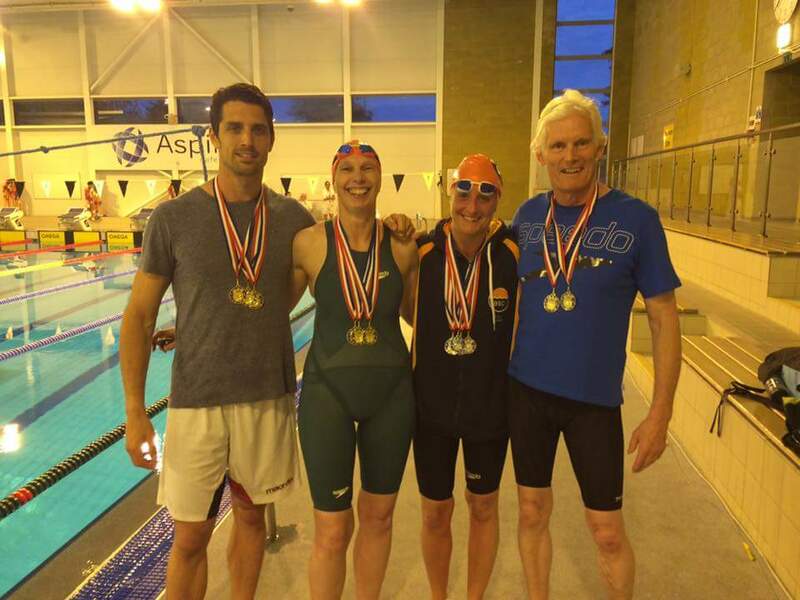 A couple weeks ago, at the Surrey Masters 2016 Championships, I won my first individual swimming medal, a bronze medal in the 40-44 Year Age Group100m Breast Stroke, and then, as part of the winning 160+ Years Mixed Freestyle Relay Team, a gold medal. This was my second-ever swim meet and I am now back in training and hoping to improve my times at the next competition. St Paul’s Boys’ School were the hosts for this year’s BBQ Meet. 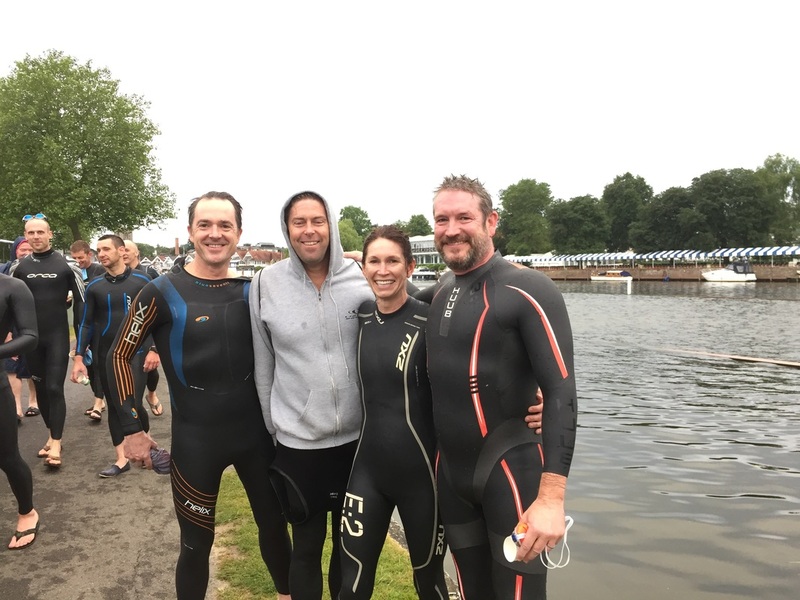 BSC Seniors (under 45s), BSC Masters (over 45s), Spencer Masters Swim Team (both age groups), BSC SPD (15-18s) and BSC Pre-Masters (Welcome to the World of Masters Swimming) all took part. 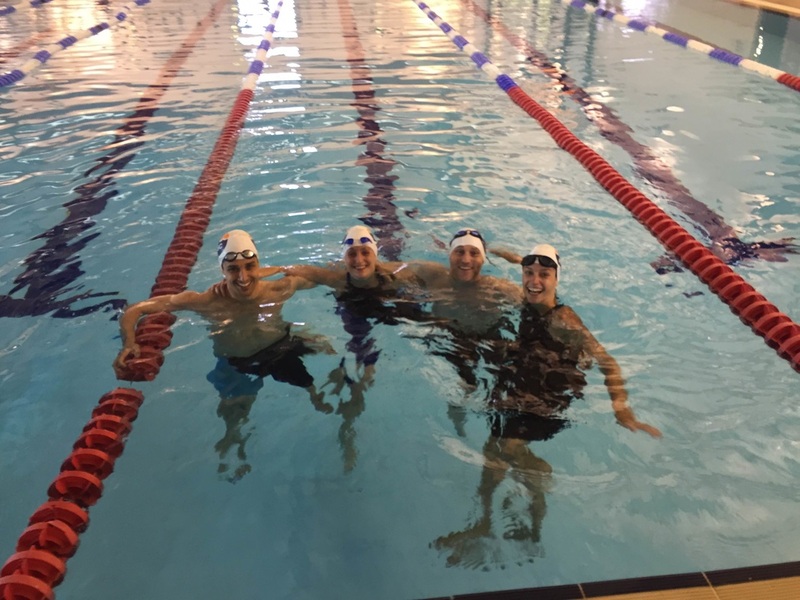 The Spencer team came out the overall winners, perhaps not surprising as their success at the recent European Masters Swimming Championships did not go unnoticed. Roxana Roman, Head Coach of St Paul’s School Aquatics and BSC Head Coach, directed operations. Officials (in alphabetical order) included: Alex Korner - The Man in White/Starter; Malcolm Munro - Team Sheet Wallpaper Hanger/BSC Team Manager; Kavitraa Paramaguru - Doing the Sums/Points Scorer; Milton Sills - Cheerleader/Stroke Judge; Michael Woolston-Thomas - Announcer/Host DJ. An honourable mention must go to Ben Rogers and Gary O’Brien, St Paul’s Aquatics staff, for their behind-the-scenes slog. The swimming races were a sight to behold and the entertainment levels were high. Particular mention goes to the SPD(15-18s) Squad for their thoroughly deserved runners-up position. Although not selected from the BSC Performance Squad, these youngsters will hopefully stay in swimming throughout university and beyond. 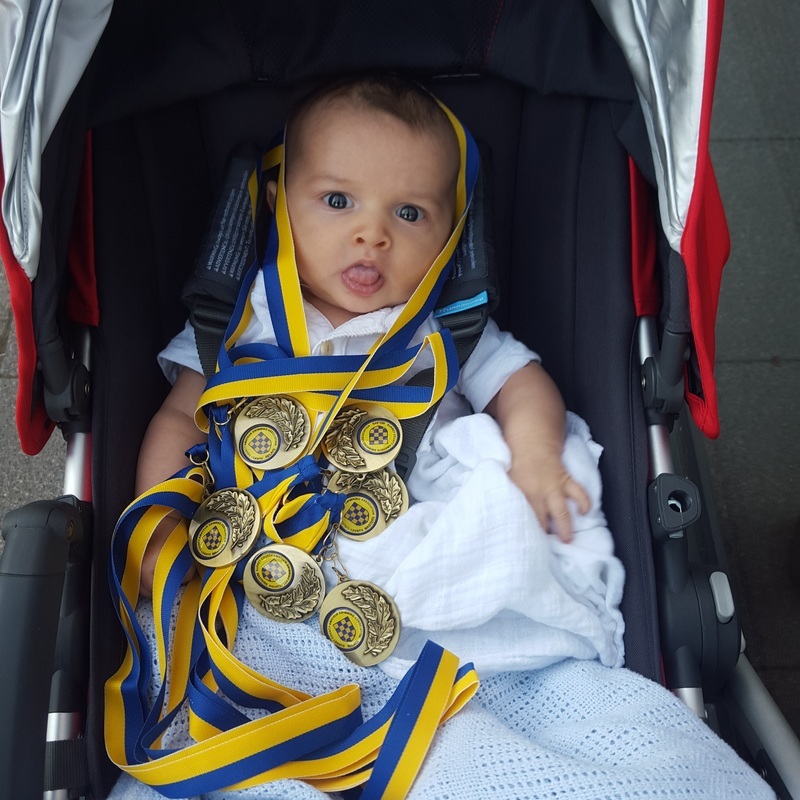 You could call them a Long Term Athlete Development Plan (LTADP) in action! The meet only took 45 minutes, proving that time really does fly when you’re having fun. A superb barbecue, provided by the St Paul’s catering staff, rounded off the meet. As ever, huge thanks to Bridget Trefgarne for the photographs. 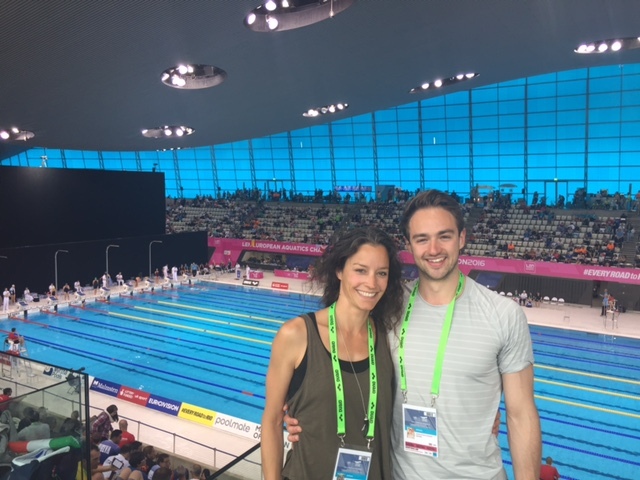 17 Masters swimmers from BSC recently competed at the LEN European Masters Swimming Championships at the London Aquatic Centre. 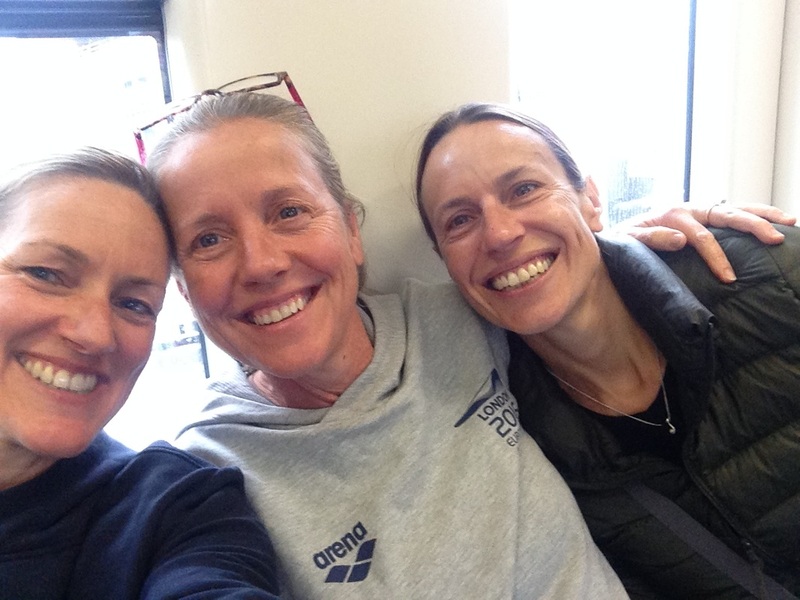 Some 10,000 swimmers from all over Europe took part, with Barnes swimmers achieving two top eight finalist placings. BSC’s goal in 2015 was to compete at these 2016 Championships and next year the goal is more ambitious: to compete in the 2017 FINA World Masters Championships in Budapest. Masters Squad Women. Winners all the way!!! You have chosen to prepare for, and compete in, the highest level of Masters swimming competitions. You will not be swimming alone: the whole of BSC will also be with you. The moment you hit the water, and thereafter, you are a winner. REMEMBER. BE READY AND STEADY ON THE STARTING BLOCK!!! 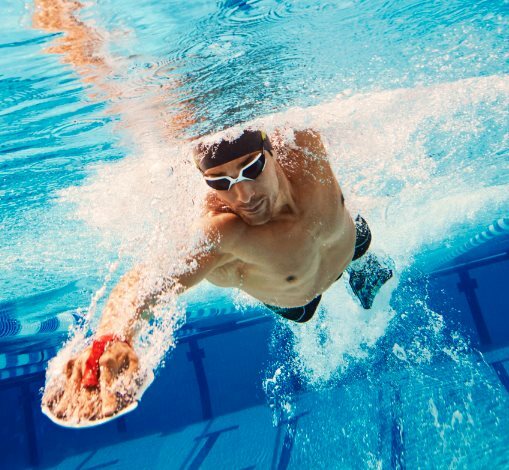 Embrace swimming the long course by building your lengths and form; form and speed; then speed and pace; and finally, negative split pace. Good break-outs after the start and turns. … And yes, a good finish where you know that you have given your all - and more! Sarah. From all of us at BSC Seniors and Masters Squad. 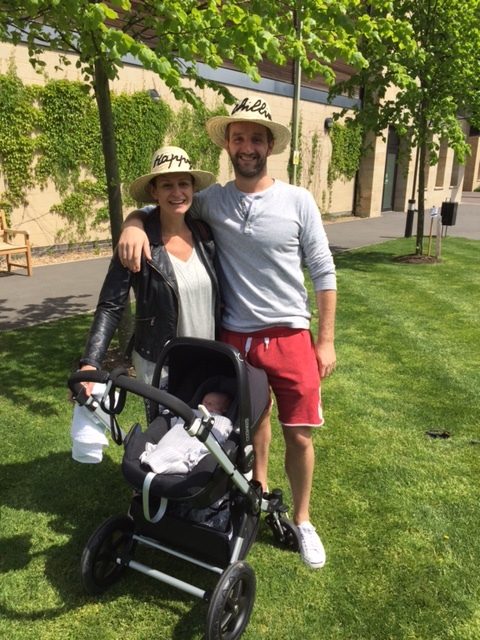 CONGRATULATIONS TO SEB AND NICOLA! 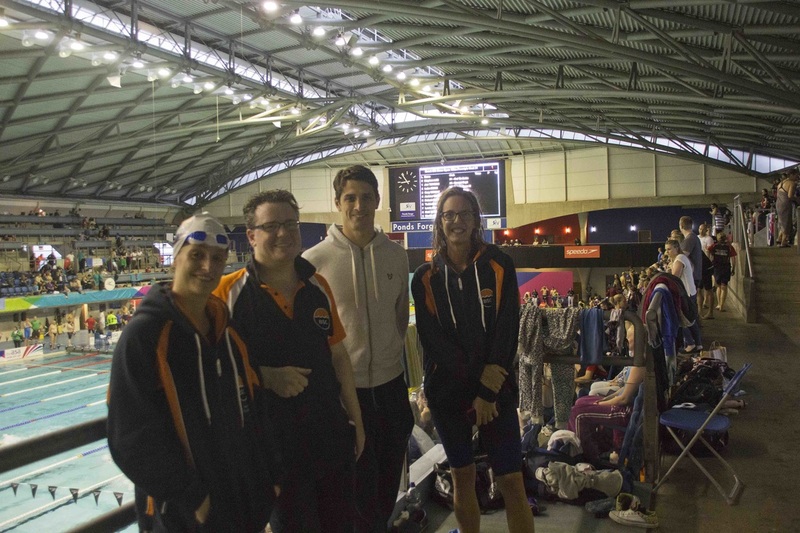 A BSC team of eighteen swimmers had been planned to swim at the Bracknell Meet. However, for various reasons, twelve swimmers remained. For some of these swimmers it was their first real meet. The Bracknell Meet consists of some 60 clubs. A very prestigious meet indeed. In previous years, BSC’s best placing was 15th with 80 points. But on this occasion, seemingly against all odds, BSC achieved an unbelievable 8th placing with 110 points. TEAM. Together. Each of us. Achieve. More. 3. And a good time was had by all ……. 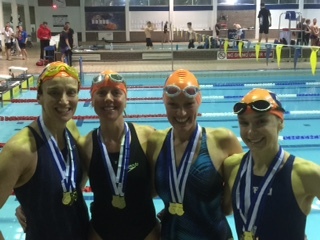 The Women’s 200+ Years Freestyle and Medley Relay Team winners (see below) l-r Ellie MacDaid, Jennie Howard, Alison Hawksley and Anna Kim. Full results can be found on www.bwsc.org.uk Click on Masters Open Meet. Truly great swims. Times as Short Course PB’s. Tania has evolved into a “natural” Long Course Sprinter. Much more to come I feel. Well swam Tania!!! 100 Back 1.38.86 Silver. Nice coaching job Milton. Paul experienced his first long course swim. No doubt he’ll be back for more. Each little step along the way. 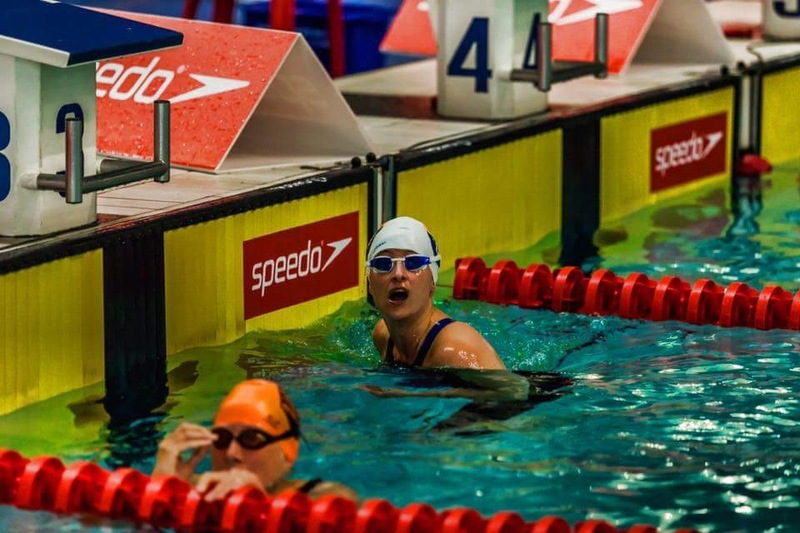 British Long Course Championships at Sheffield in April. European Championships at LAC in May. Full results should be found on website www.southeastswimming.orgMasters Section. A truly great team performance by the club at Sheffield. Impressive brace of silvers in the 200 Back. 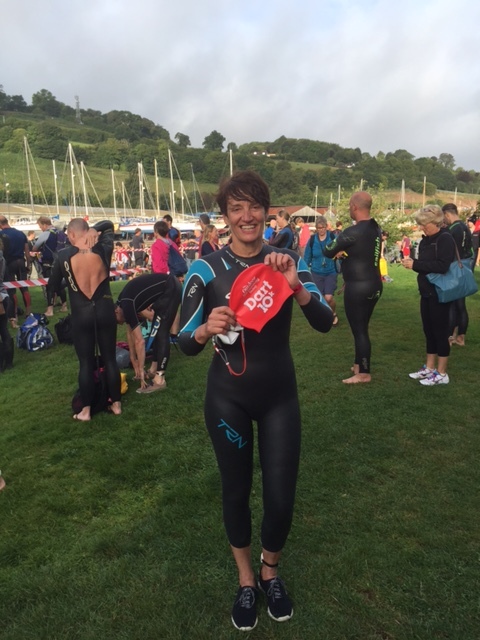 Bridget Trefgarne (45-49 Year Age Group). Silver. Very Impressive. Splits 1.20.68/1.26.59/2.47.27. Malcolm Munro (65-69 Year Age Group). Silver. Again. Very impressive. Splits 1.29.37/1.40.65/3.10.02. Taking consideration the racing start on the first 50, that swim was nearly swam at even pace. The main reason for this being that when she swam her last 25 it was truly a sight to behold as was her 50 Free split of 30.94 in the Mixed Medley Relay. Tania keeps getting better and better! Ben Bradley (35-39 Year Age Group) brought home one silver 50 Fly 26.64 and two bronzes 100 Free; Splits 25.95/28.77/54.72; 50 Free 24.16. Although the overnight constant screaming of his newborn son Harrison had slowed his reactions on the starting block somewhat there is now certainly a case for the club purchasing a bonefide starting block. Practice, the results of which are known, make perfect. Bridget can be fully forgiven here for the “Selfie”. More like “Selfless”. 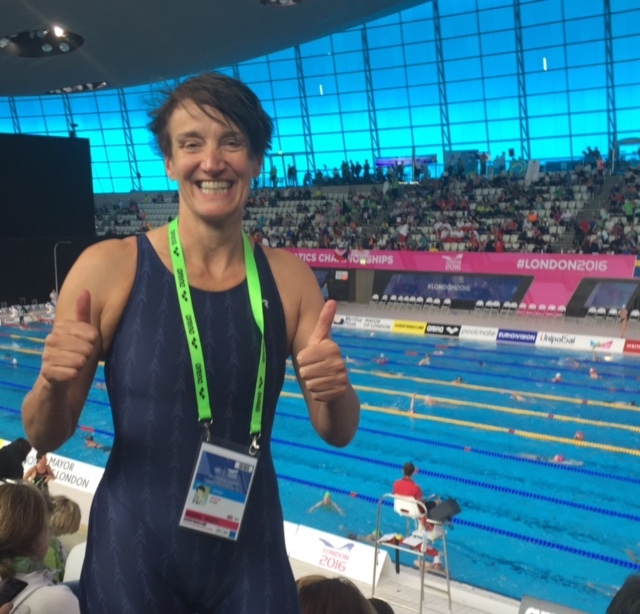 After she finished her swims, she then travelled all the way back down to London so as to ensure that she could coach the club on the following Sunday morning. Here, thanks must also go to Malcolm for organizing the evening Saturday meal. Barnes Swimming Club is a great club because it is full of such people. ​Barnes Swimming Club. The Centre of the Universe!!! 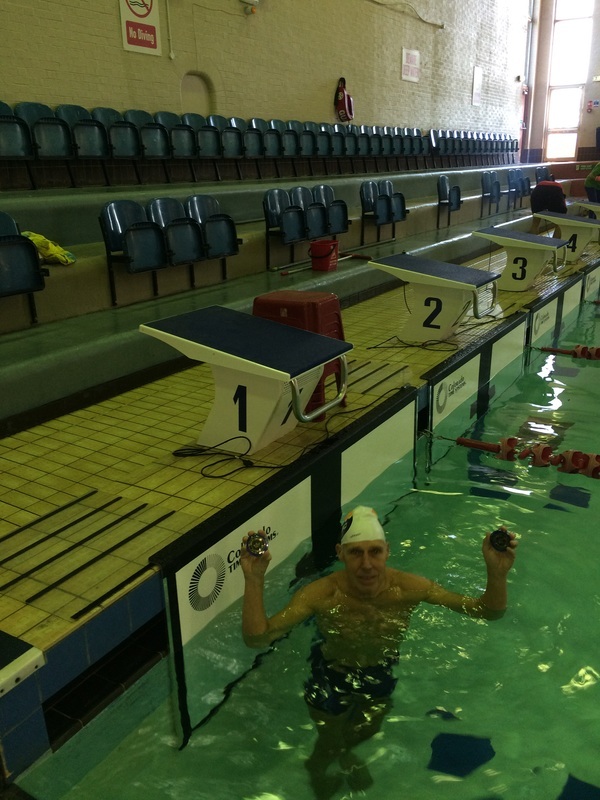 Paul Simms (70-74 Year Age Group) displaying his 2 gold medals that he achieved in both the 100 and 50 Back. 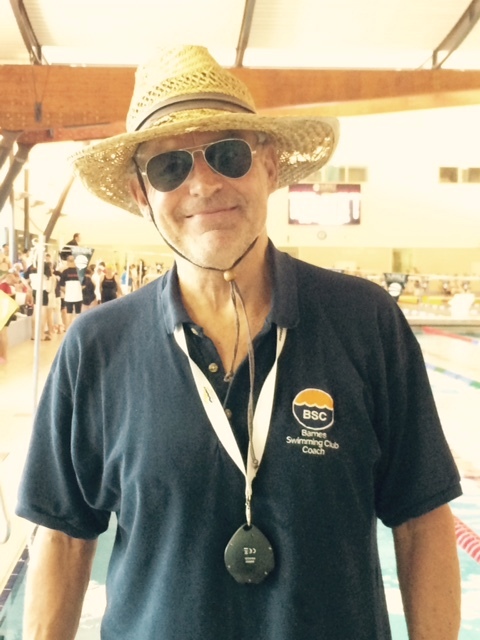 Paul only started his masters swimming career with BSC this year. Interestingly, his 9 year old daughter has started her age group swimming career with us this year also. 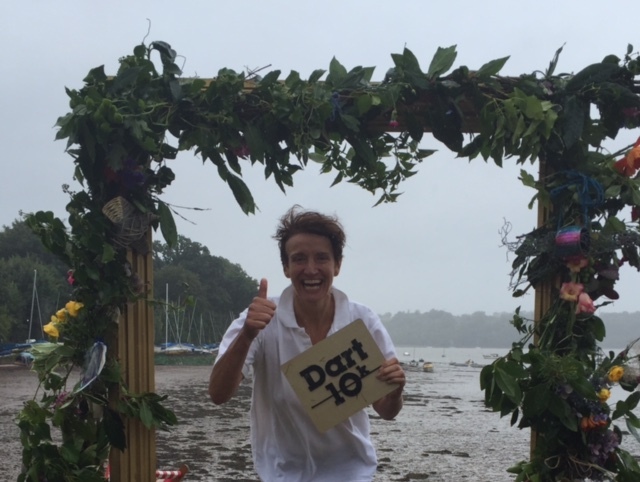 It would seem that life begins at 70 ……. 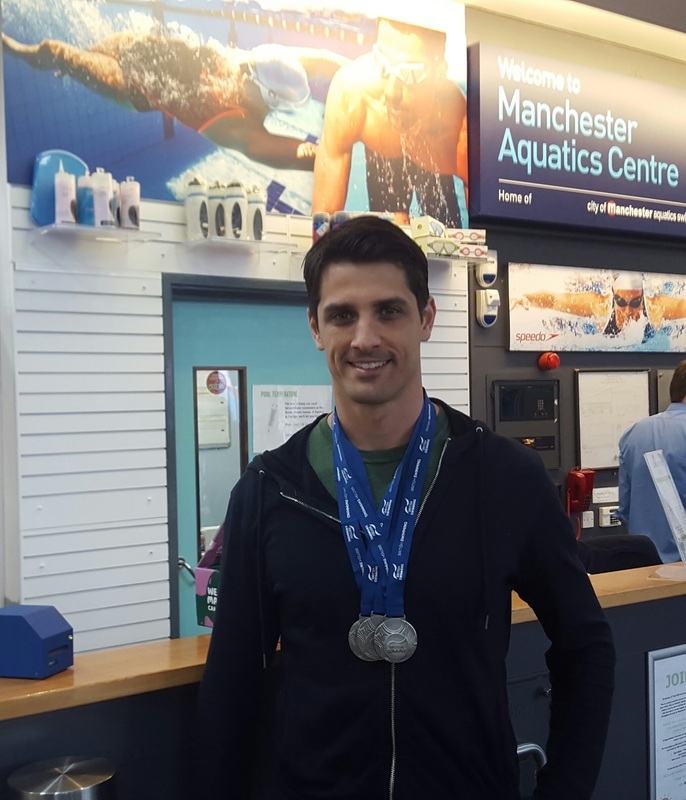 Interestingly, Ben Bradley(35-39 Year Age Group) achieved 3 gold medals, the 100 and 50 Free and a gold in the 50 Fly. Ben has a recently born son. “By George!! !” George Hall(25-29 Year Age Group) swam his first individual race for BSC in the 100 Free. 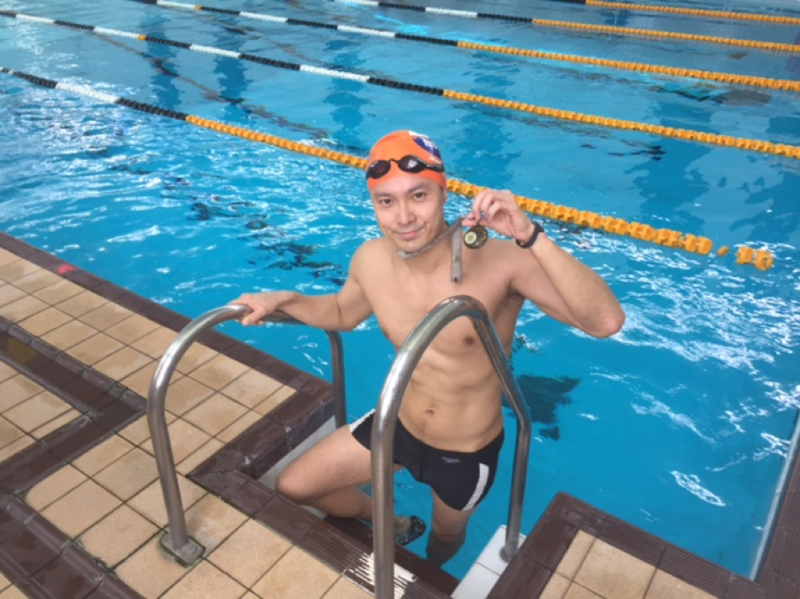 He achieved a life-time PB by beating his entry time.
" I came in 32nd of 135 in my age group and finished 303rd out of 1385 men - so I made the top quarter! 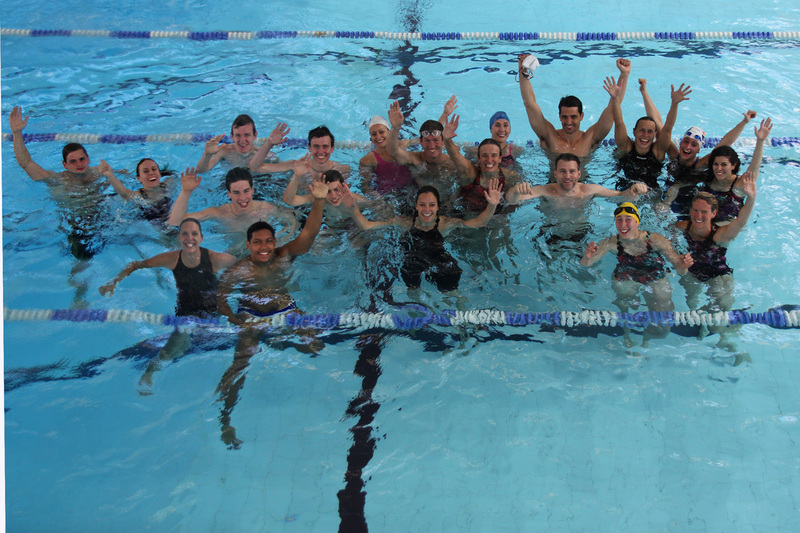 More than 1900 swimmers took part. conditions that made for a much slower race than for several years. 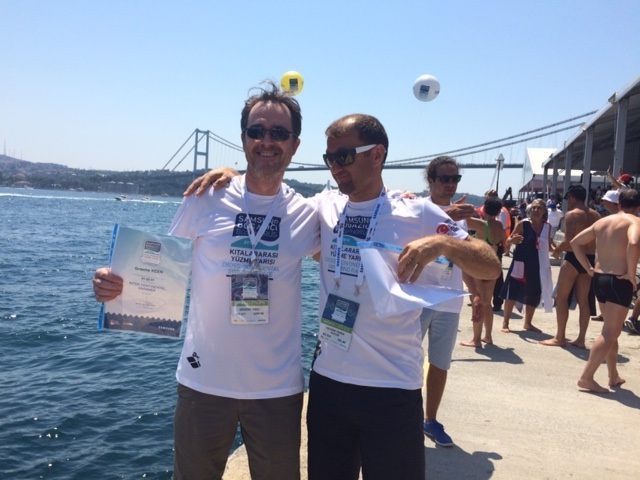 All shipping in the major trade route that is the Bosphorus was stopped for a swimming race - Incredible! 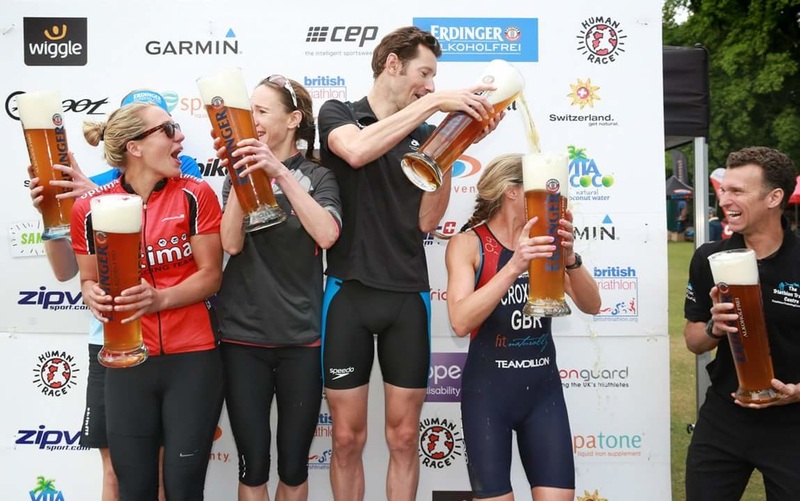 This year’s Surrey Masters 2015 Championships had a carnival atmosphere about it. It’s now become a team bias competition occasion. The Big Super Clubs in the shires, Godalming, Guildford and Dorking and in South West London Croydon Amphibians, Kings Cormorants and the very fashionable Barnes Swimming Club. Yes, that’s us folks! Although detailed results are shown above, credit where credit is due, brief mention on each swimmer is a must. 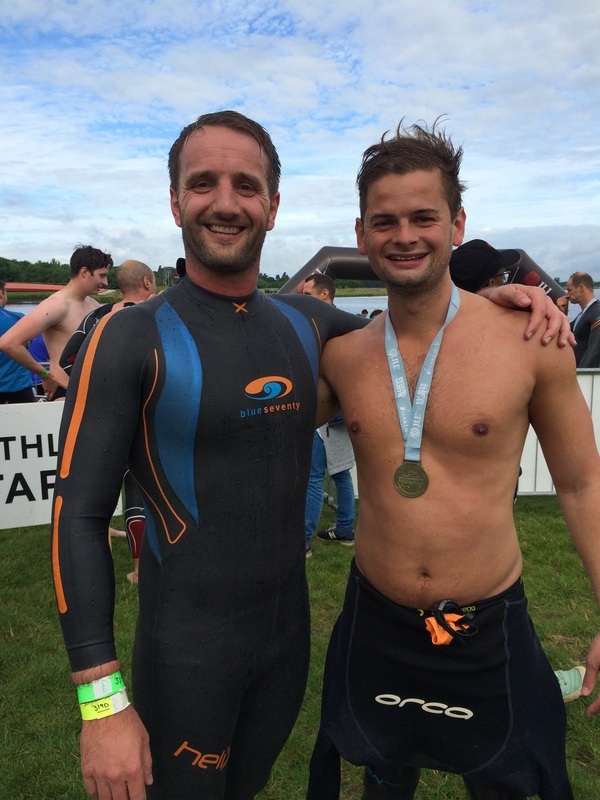 David Brandon defied logic and swam brilliantly throughout dominating the 50-54 Age Group. I kept telling him in training that he was swimming nowhere near how he was actually capable of swimming. Although somewhat tongue in cheek I was right for once. Nick McChesney 50-54 Age Group “The Man who came back from nowhere” followed closely behind Dave in the 200 Free. Nick has never had a swimming career as such. Incidentally, his son, a BSC swimmer has just won IAPS. Way to go Nick! 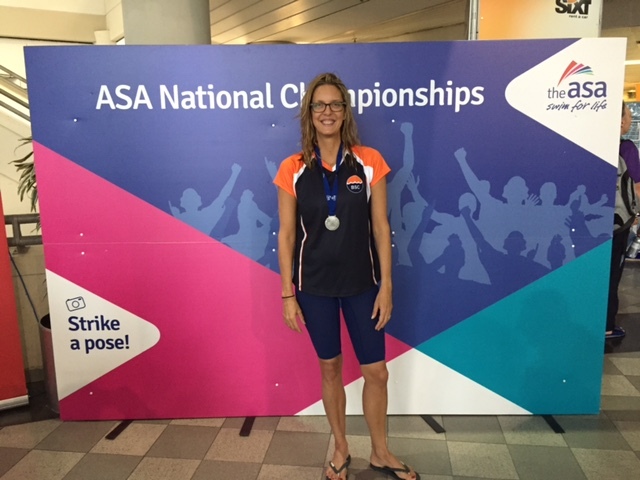 Angela “Cinderella” Regazonni 40-44 Year Age Group started off with a PB in the 200 Free earning a golden slipper first place. This was repeated soon after in the 100 Breast. Angela now has a pair of golden slippers. Tania Gordon 30-34 Year Age Group made her entrance on her new found(?) No 1 stroke 100 Breast. Surprise to everyone as not a sign of her in the 200 Free. She could have would have won it but Tania is still is determined to swim sprint free with a middle/long distance free stroke . Her PB in winning the 100 Free 1.08.61 was magic. No magic. She really trains that’s why it seemed like magic. Her final free leg in the winning Mixed Relay was fantastic holding off the Croydon Amphibians ace male sprinter was truly a sight to behold. Europe next year Tania in your new age group 35-39 Year Age Group? Yeah. And then came Paul Simms. 70-74 Year Age Group. His last competitive swim was nearly half a century ago. He is just starting out on his journey into masters swimming. He joined the club just a little while ago. At his trial, I immediately spotted potential and placed him with our pre-masters squad under the guidance of BSC Coach Milton Sills. His backstroke turn is of a new invention. Well, not really. Over the years, it was invented, then became illegal, and now is all the rage. Two silver medals. 19.95 for the 25m. His 42.86 for the 50m was simply a joy to behold. “Is this guy something, or is this guy really something!” I mumbled to myself. Winning his heat comfortably in 42.86. Sprinting, in my opinion, is an inherent gift. At present we have two such endowed swimmers. Raul Henney 19-24 Year Age Group and Ben Bradley 35-39 Year Age Group. The 25m distance suited both “Drop Dead” Sprinters. Hence, gold medals were in abundance. However, Ben Bradley’s 100 Free near the end of the Championships deserves honorable mention. Ben went out a little too fast(for him) and was in a somewhat desperate straight down the final straight 20m. Eyeball to eyeball with a somewhat younger Elmbridge swimmer made for quite a spectacle. O.K. Ben nabbed it. but there was something else. He has matured. His wife and his newly born young son were in the stands. Good Omens all around I would say ……. 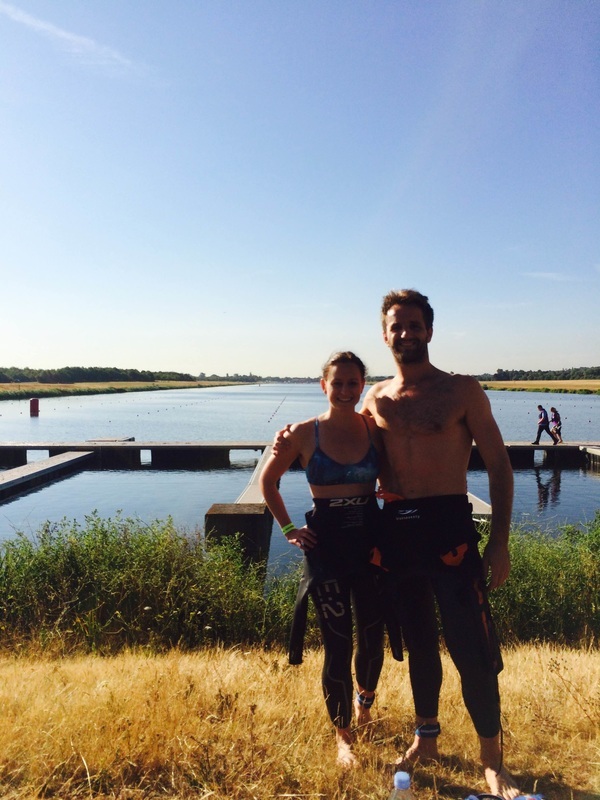 Sebastion Young won the Eton Dorney Lake Open Water Swim this morning. 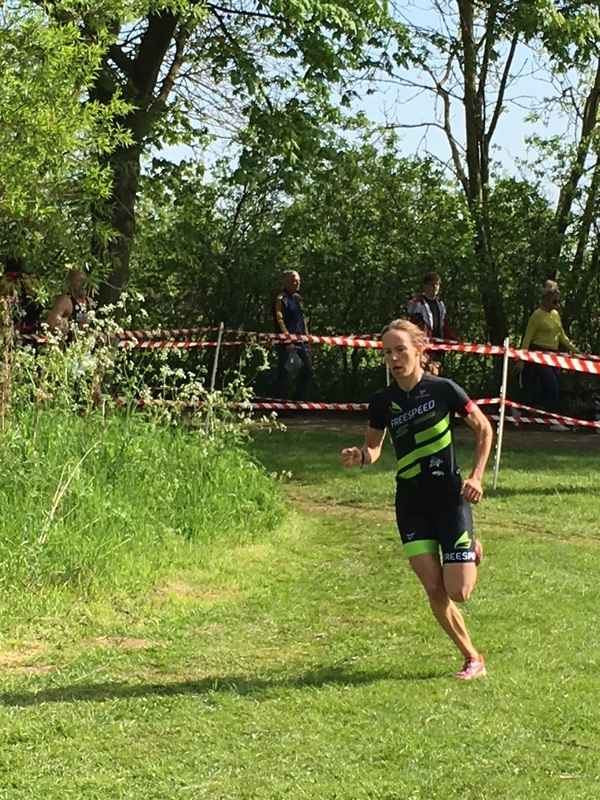 Nicola Sutherland achieved second place in the Women’s race. The photograph below certainly shows a beautiful morning for a swim. Well swam both of you!!! 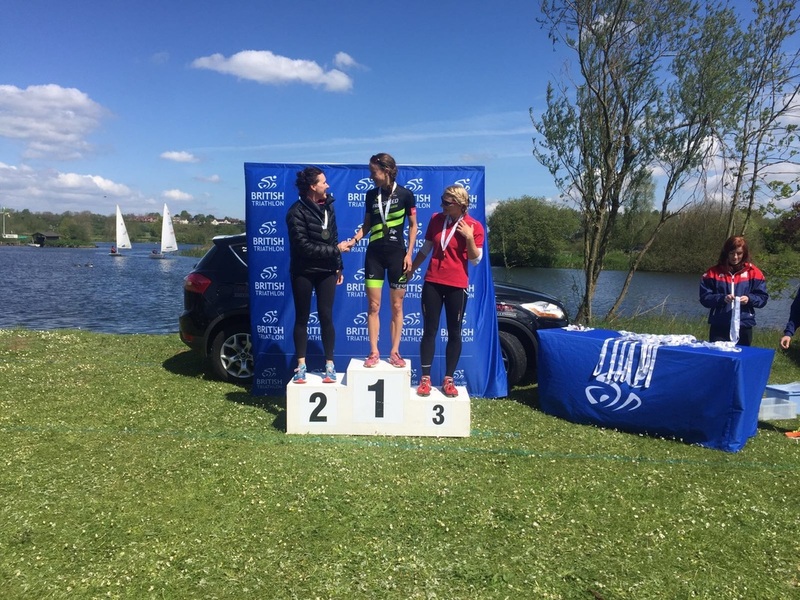 Henley Open Water Classic - Early Sunday 28th June - 4.30 a.m.
Graeme Keen 9th and Patrick Nelson (49er overall) and Shelia Jansen 1st. Ben Bradley, David Brandon, Tania Gordon, Raul Henny, Nick McChesney, Angela Regazzoni and Paul Simms. 160+ Mixed Relay. Both Medley and Freestyle. First Place. 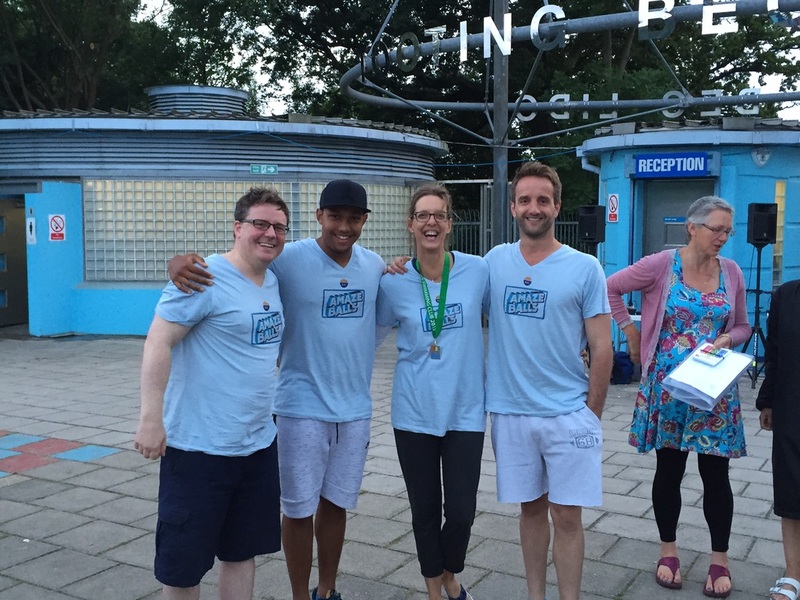 At the South London Swimming Club Midsummer Relay at Tooting Bec Lido last night our Seniors and Masters Squad Relay comprising of Bridget and Rupert Trefgarne, Rual Henny and Sebastion Young came first out of 34 clubs. Ben Bradley. 35-39 Year Age Group. Tania Gordon. 30-34 Year Age Group.